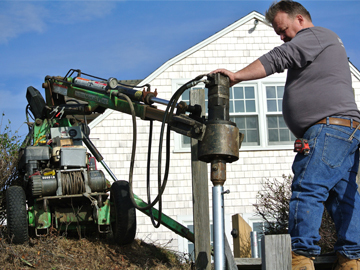 Helical anchors, or helical screw anchors, were originally developed in the mid 1800’s as foundations for lighthouse structures. 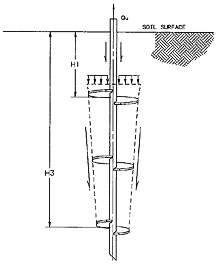 Since that original application,the use of helical earth anchors has greatly expanded as a foundation method to both resist uplift and to support bearing loads. 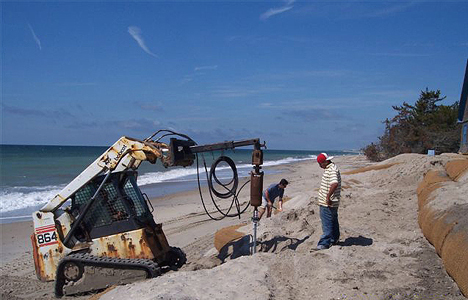 NETCO uses helical anchors as a tie-down/tie-back anchoring method to hold in place gabion baskets, mattresses, and the NETCO coir envelope system in high wave energy environments. 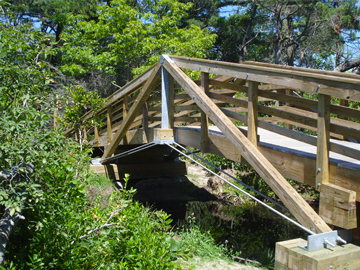 In addition, NETCO employs helical anchors as foundation systems for boardwalks, wetland walkways and small bridges. 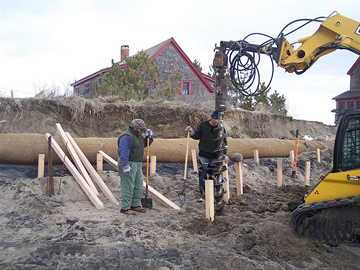 NETCO is a certified installer of the AB Chance helical anchor system and maintains a full compliment of helical installation equipment including high torque, continuous-rotation hydraulic motors.